In between his two Home Alone films, Chris Columbus wrote and directed a little romantic comedy starring John Candy called Only the Lonely. It wasn’t exactly a huge hit like many of Columbus’s other films, but it has a lot of his signature charm in it. It’s a fascinating film for several reasons, not the least of which is that it’s not every day you witness the personification of pure evil in a film. But I’m getting ahead of myself. Only the Lonely tells the story of a lonely, aging police officer named Danny Muldoon (played by John Candy) who attempts to choose between his overbearing mother and his budding romance with a soft-spoken young woman. Will he find lasting love or live a life of regret? Let’s discover his fate in the forgotten film gem Only the Lonely. I love romantic comedies (and films, in general) that employ brutal honesty in their characters’ interactions. One reason I hate Spider-Man 3, for example, is because if MJ was just honest with Peter Parker, she would eliminate a sizable chunk of her problems. Thankfully, Only the Lonely frontloads the audience with a lot of hard truths. Danny is nervous about asking a cute girl named Theresa Luna, who works at a funeral parlor, out on a date. So when he asks her out, he doesn’t even try to hide his nervousness. He incorporates it into his pitch and he immediately wins her heart because of it. Right after he leaves with a spring in his step, the film does something really smart. It focuses on her for just a moment and she whispers to herself, “Don’t screw this one up, Theresa.” I love that so much. It instantly makes me feel invested in her character because she’s not just a love interest anymore. She’s a woman with feelings of her own, which won’t be overshadowed by Danny’s boisterous personality. Theresa is painfully quiet during their date. Danny has to keep prodding her to open up even the tiniest bit about herself while he does most of the talking. After he walks her home, he assumes the date has been a disaster, but then the film does another incredibly smart thing. She calls him back and tells him that she had a wonderful time. He’s shocked. She apologizes for being so quiet and admits that when she’s with him she feels better and like she might be able to overcome her shyness. She asks him to be patient with her and give her another chance. He is more than willing to do just that. Their romance quickly blooms as a result of their frankness and honesty with each other. Even when Danny and Theresa have second thoughts about their relationship and don’t speak their minds to each other, it still works because they just don’t know how to put all of their emotions into words. They’re not evading their feelings, but struggling to process them. In other words, this movie earns its moments of quiet reflection and solitude between its two main characters. And this makes their eventual reconciliation that much more satisfying. I wish every romantic comedy were clever enough to realize that they don’t need misunderstandings and contrivances to generate drama. They just need flawed people who recognize their weaknesses and want to improve on them. Most romantic comedies have a sob sister – a less-attractive friend for the main female lover to confide in and talk through her heartache. Only the Lonely swaps sexes and gives Danny a sob assister in the form of his crime-fighting partner. 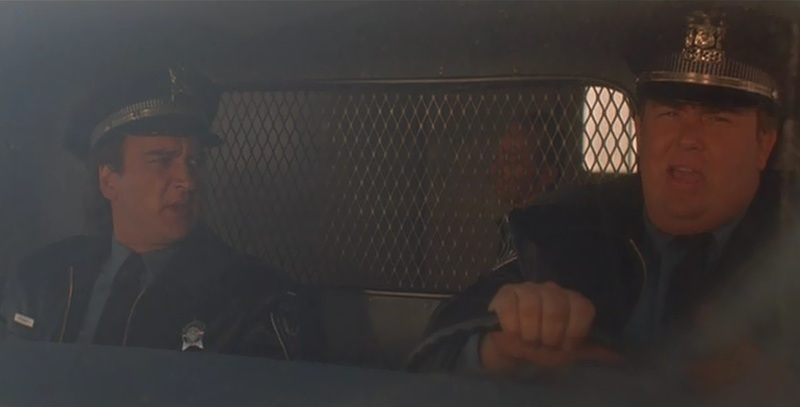 A fellow police officer (played by a young, trim Jim Belushi) acts as his confidante. The two discuss their relationships with women, concerns about intimacy, and overall wellbeing. An occasional criminal they’re hauling in the back of their police car also chimes in, too, adding to Danny’s Greek chorus. Just two years after he played the titular character in Uncle Buck, John Candy once again plays uncle to Macaulay Culkin in this film. Culkin only appears in a single scene as a cute little ne’er-do-well son of Candy’s brother. It’s just fun to see that Chris Columbus and John Hughes (who produced Only the Lonely) found it appropriate to give him a cameo in Candy’s film just one year after Candy got a cameo in Culkin’s breakout film Home Alone. She’s a rabid racist. Only pureblood Irishmen are human beings in her eyes. Her racism seems cute and harmless because it’s against Greeks and Sicilians. But imagine if her son loved a woman who came from somewhere outside of Europe or North America and you start to see what a bigot she is. She’s a textbook abuser. One minute she’s hurling insults at people and the next she’s apologizing and promising to be better. She loves dishing out pain to others, but the moment someone objects to her attacks she retreats into the posture of a helpless victim. It’s pathetic and it’s also a sign that she is an abusive person at heart. She never takes responsibility for her actions. At one point Danny reminds his mother of the time she insulted a man that her husband was on the verge of closing a huge business deal with. Her husband lost the account and broke down in tears over the loss of all his hard work. How did she respond? With righteous indignation, as though her husband, that man, and even Danny are all at fault, but she is perfectly blameless. Her words and actions are designed to hurt people. She almost always has a scowl on her face as she speaks to people. During what should have been a pleasant dinner with her son and his girlfriend, she goes out of her way to spew vitriol at the poor young woman. At first it seems like she doesn’t know when she’s giving offense, but it becomes obvious over time that she knows exactly what she’s doing. Even when she toasts Danny and Theresa at their rehearsal dinner the night before they’re to be married, she finds a way to word a compliment to the bride in the most negative way possible. She treats the people who love her like dirt. Danny does his best to avoid offending his mother, but she does her best to keep him from finding happiness. She tells him no one is good enough for him, she tries to keep him from going out and having fun with friends, and she encourages him to eat unhealthily rather than get in better shape to help his career and his romantic prospects. She is selfish and wants to keep Danny to herself, even at the cost of everything he holds dear. This is probably why Danny developed his paranoia about her whenever he’s away from her. By the end of the film we’re supposed to care about what happens to her, as though she’s not all that bad. But no, she’s just as bad as ever. I’m just glad she’s moving far away from Danny and that he has learned that he doesn’t have to worry about her. She can take care of herself. She never learned her true nature as an abuser or attempted to change her attitude about people. She’s just going to continue living selfishly – but now she’s someone else’s problem. Despite my frustration with Danny’s horrible mother, I find plenty to enjoy in Only the Lonely. 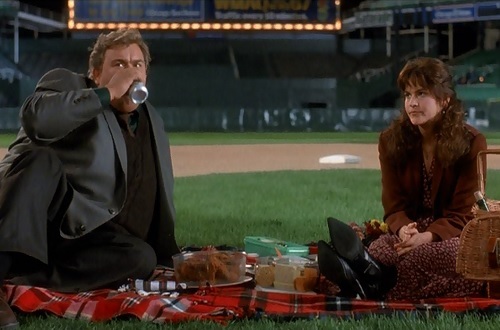 It has charming performances by John Candy and Ally Sheedy, and its script is smart enough to humanize their characters and make us instantly care about both of them. The film’s jokes are surprisingly sparse, but it makes up for that with plenty of touching moments and heartfelt drama. Give Only the Lonely a watch. It’s smarter than your average romantic comedy. And even though it didn’t do so great at the box office when it first came out, sometimes it’s good to be a flop. 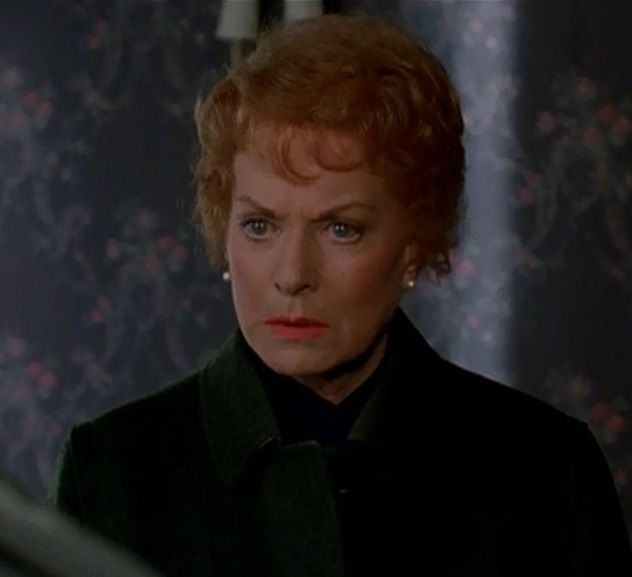 This entry was posted in Forgotten Film Gems and tagged chris columbus, comedy, drama, films, fun, funny, humor, john candy, john hughes, jokes, macaulay culkin, movie review, movies, only the lonely, relationships, romance. Bookmark the permalink.